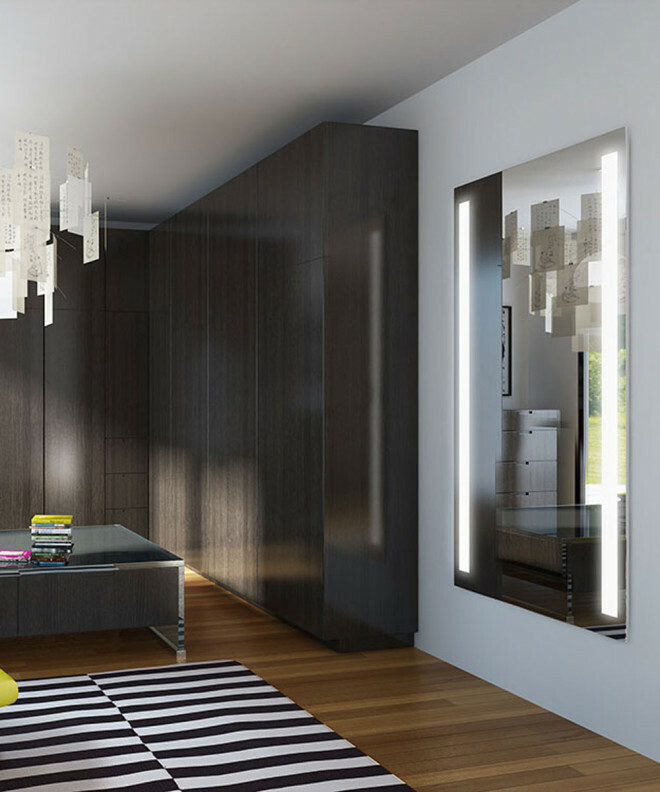 The ideal Fusion™ comes from a combination of clean, bold lines and incredibly efficient, natural-looking LED lighting — adding a modern statement of prestige to entryways, bedrooms and walk-in closets. Add glimmering light and tasteful grace to any space with a powerful impression of Integrity™. 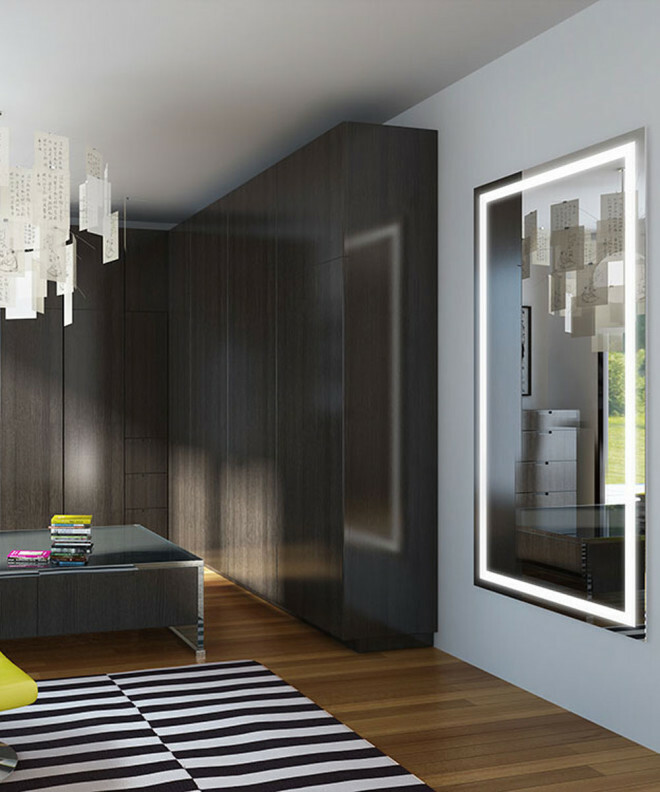 Featuring a smooth polished edge and brilliant inner frame of frosted light, this radiant marvel is a welcome addition to entryways, bedrooms and walk-in closets.